Rinse the chiles. Preheat oven to broil. Coat chiles evenly with vegetable oil. Do not use olive oil, as it has a low smoke point. Place the chiles in a 9 x 14 baking dish and place on the top shelf of your oven. Keep a close watch on the chiles. When the skins start to char and turn black in places, take the chiles out and flip them over. When both sides are fairly evenly charred, remove them from the oven. Place chiles in a paper bag, roll the tip closed, and allow the chiles to steam. After a few minutes, check the skins. When the skin comes off easily, peel the chiles. When the peppers are cool enough to handle, slit each pepper lengthwise. You may remove the stem or cut around it according to your preference. Remove the seeds and pulp, and with the back of your knife, gently scrape off any stray seeds which remain. Fill the chiles. Fillings should be at room temperature or slightly chilled. If fillings are hot, the juices will flow out and cause the coating to slide off. 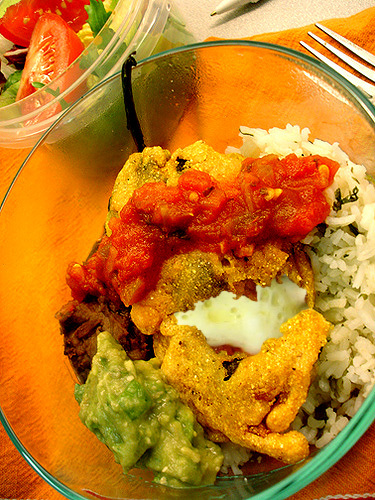 Use enough filling to stuff each chile relleno as completely as possible, but not so much that the seam won't hold together. 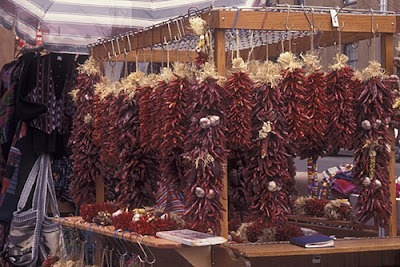 Once the chiles are stuffed, you can set them aside for a few minutes or a few hours in the refrigerator. Whip the egg whites at high speed with an electric mixer, until stiff peaks have formed. Heat the oil in a skillet until a drop of water sizzles when dropped into the pan. Beat the egg yolks with one tablespoon flour and salt. Mix the yolks into egg whites and stir to a thick paste. Roll the chiles in 1/4 cup flour and dip each one in the egg batter. Coat evenly. Fry, seam side down on both sides until golden brown. Place on paper towels to drain. Meanwhile, heat the salsa in a medium saucepan (either one or some of each). Place one or two rellenos on each plate and pour salsa over them. Serve immediately. Juniper is a coniferous plant of the cypress family, with more than 50 varieties ranging all the way from the arctic to tropical Africa. 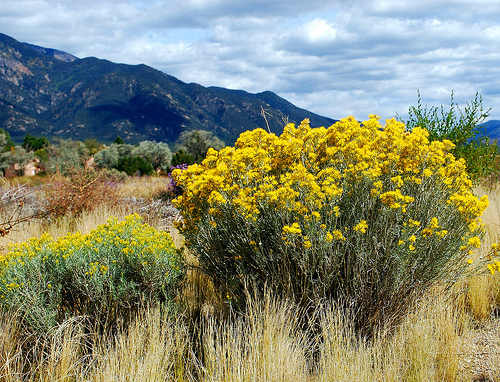 This 25- to 50-foot tree is common in the Southwest, where it causes severe allergic reactions in much of the population during late winter and early spring when it is in flower. Juniper berries are actually a modified pine cone, with fleshy scales that merge together to form an outer skin over the seed, giving it a berry-like appearance. The berries start out green, ripening into a blue, purple or nearly black color in 10 to 18 months, depending on the variety. Trees will typically contain berries at all stages of the ripening process. 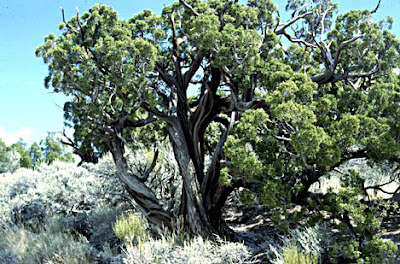 Juniper is durable, adaptable and tolerates extremes of both heat and cold, making it a commonly used element in landscaping. This versatile plant includes tall tree, bushy, and creeping ground cover varieties. The trees are also some of the most popular species chosen for bonsai. With the exception of a few juniper species, specimens have two types of leaves. Seedlings and occasional twigs of mature trees have needle-like leaves, while the mature plants produce tiny, overlapping, scaly leaves. Several species of butterfly larvae feed exclusively on juniper, including the Juniper Carpet, Juniper Pug and Pine Beauty. 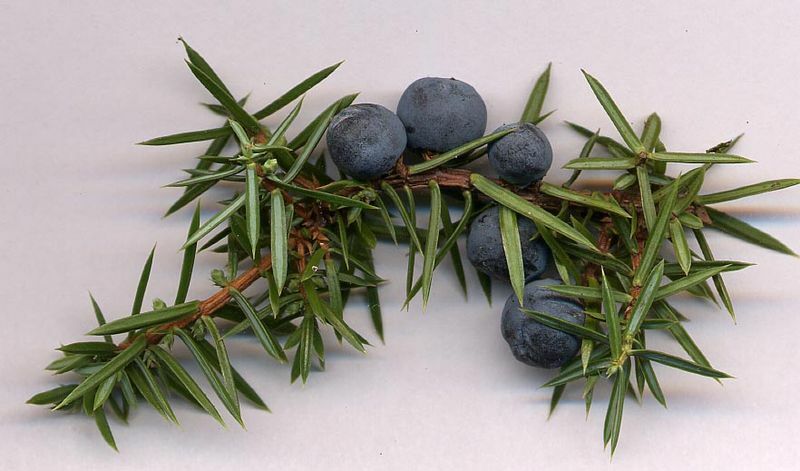 While highly toxic, juniper berries are used for medicinal purposes, in cooking and for other flavorings. Perhaps the best known use of these highly aromatic berries is the use of green berries in the flavoring of gin, which explains the particularly bad hangover that overindulgence in gin produces. In addition, the beautiful ripe blue to purple-black berries are used in numerous culinary applications, including a sauce for game meats, such as quail, pheasant, rabbit, boar, and venison. Juniper berries are typically used in Norwegian and Swedish dishes, and sometimes in German, Austrian, Czech, and Hungarian cuisine, often to flavor roasts. Northern Italian cuisine sometimes incorporates juniper berries, as well. While thought of mostly as a flavoring for the game meats and fowl, juniper berries also complement pork and beef dishes. Their pungent, piney flavor is particularly suited to marinades and sauces with black pepper, garlic, sage, thyme, or rosemary.